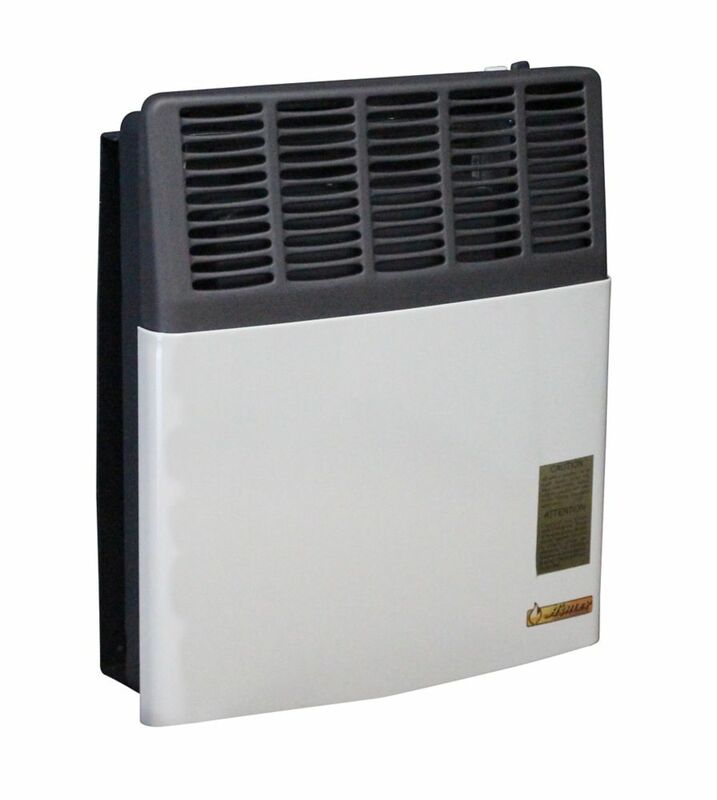 The AGDV12 direct vent gas heater requires NO electricity. With up to 11,000 BTUs per hour, it is designed to heat a space up to 275 Sq. Ft. This unit mounts on any outside wall for direct venting. The matchless piezo ignition makes lighting easy. The automatic shutoff and thermocouple safety valve makes this unit safe in any room in your home. The built-in thermostat with one dial control makes using this unit easy. Includes all Direct Vent pipe for Typical Installation. Also includes Wall thimbles. Direct Vent 11,000 BTU Heater Natural Gas The AGDV12 direct vent gas heater requires NO electricity. With up to 11,000 BTUs per hour, it is designed to heat a space up to 275 Sq. Ft. This unit mounts on any outside wall for direct venting. The matchless piezo ignition makes lighting easy. The automatic shutoff and thermocouple safety valve makes this unit safe in any room in your home. The built-in thermostat with one dial control makes using this unit easy. Direct Vent 11,000 BTU Heater Natural Gas is rated 2.5 out of 5 by 2. Rated 3 out of 5 by JScriven from It seems to be not enough to heat a 200sf... It seems to be not enough to heat a 200sf room. Not very happy with it. Rated 2 out of 5 by BaileyCO from Well made, but not enough heat for 250 sq feet The 11,000 BTU barely heats a normal sized bedroom (250 sq feet), I'd get a bigger one next time and will likely swap this one out. This seems better suited for a bathroom or a very small bedroom (150 sq ft). That said, the quality of workmanship is good and the installation was reasonable ($350 with a local installer that I found).